Roker Tree Services - Garden Services, Tree Surgeon based in Northampton, Northamptonshire. Hi and welcome to Roker Tree and Landscape Services. Below we have provided information about our company and what we do. Do feel free to contact us and we will be happy to provide any information and answer any questions you may have. 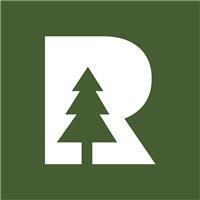 Roker Tree Services are a family run Tree surgery business operating throughout Northamptonshire. Our level of Arboriculture is of the highest standard and we pride ourselves on our prompt and friendly service. Daniel Roker is a qualified Tree surgeon who has been involved in arboriculture since the year 2000. Daniel has a great deal of in depth experience having worked for many different types of clients, from large organisations and many London Boroughs, through to small domestic customers who require work on their trees and gardens. We also offer a large site clearance service and woodland management. Roker tree services also offer tractor hire, fencing, digger hire. Roker tree services comply to the latest health and safety regulations, ensuring public safety comes first every time. 5 Million Public liability cover. Quotations are no obligation and we are happy to forward any advice on to you. Feel free to take a look at our Facebook page. A process we use to reduce the overall size of the crown, calculated in percentages, reducing the sail area and releasing weight and tension. The tree is evenly pruned all over. All branches are pruned back to substantial growth points conforming to (BS3998). This helps promote growth and ensure the tree is healthy. Calculated in meters, to remove only lower branches to lift the entire canopy. Normally for pedestrian or highway clearance. Selective pruning, Selected branches are removed to allow air and light to pass through the tree, the shape of the tree is as it was but will appear less dense on the eye. Calculated in percentages. In a crown clean process we will remove all dead wood, hanging branches, hazard beams, crossing branches, ensuring a safe tree. A two foot band cut at the base of the tree in order to kill off climbing ivy above. Pollarding is a process that is to remove all branches, limbs leaving only the trunk, for regeneration, only some trees respond to this, typically used methods occur in big cities to reduce the tree to nothing for regeneration and keep size to a minimum. To remove the whole tree leaving only a stump just above ground level. Large hydraulic machines that have a circular cutting wheel with sharp teeth that cut into the ground to remove the stump. We also offer firewood for sale in 5kg bags, bulk bags and by the truck load. As well as wood and logs for woodcarvers to create chainsaw art and chainsaw sculptures. Other services we provide include. Roker Tree Services offer other garden services such as Landscaping, decking, turfing, fencing, hedge trimming and the clearing of shrubs and other garden maintenance. We also offer an emergency call-out service, should you require our services to deal with a tree damaged in bad weather or in an accident.